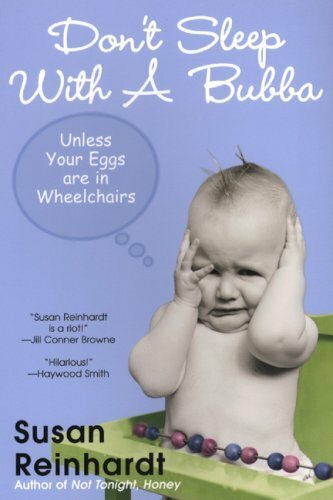 Don't Sleep With A Bubba is a collection of essays by newspaper columnist Susan Reinhardt about various topics, mostly related to love, marriage, and being a Southern woman (the development of the dreaded front-fanny!). I love any and all Southern humor, so this one was enjoyable but not what I expected. I'm not really sure how best to critique the writing of a humor book. It's written in the same style as a newspaper column and they are all opinion kind of pieces. Writing is standard humor fare - funny essays, short and sweet. I've been saving this one for a while because I read and loved the author's Not Tonight Honey. It's been a while, but I remember that one made me laugh so hard and had me dying to read more by the author. This one didn't live up to what I remembered of Not Tonight Honey. It was funny and there were some hilarious essays, but most of it just wasn't that funny to me. It was still a good read and a great pool/beach book, but not as funny as I had hoped. I was also thrown off by the inclusion of some very serious essays dealing with the author's depression. Those essays were wonderful as well, but they seemed to be just randomly tossed in the middle of the book with no introduction or conclusion. Since they didn't fit with the tone of the rest of the book at all, it was odd to have them right in the middle. It felt like I was reading two different books. So the final review: I say if you are a fan of Southern human (oh dear, this should say Southern HUMOR), you need to read Susan Reinhardt. But start with Not Tonight Honey and see how you like her before you try this one. She has a third book called Dishing With the Kitchen Virgin that I plan to check out as soon as I can find a copy. 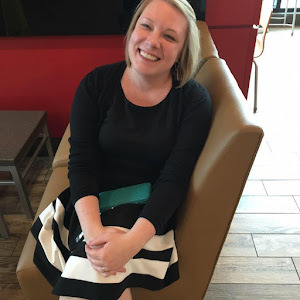 If you are just wanting humor in general, check out Laurie Notaro or Jen Lancaster. I love Laurie Notaro! It's nice to know that this author has a little in common with her in terms of style, but I'm glad for the heads-up you gave about the sections on depression. I love a good humor book every once in a while. Thanks for the review. Jacki - wouldn't it be great if I could say I wrote this on my phone and it was an autocorrect thing? Unfortunately, I can't. But I do hope you are a fan of Southern humans! Or at least this Southern human!